Theatre credits include: As Composer; The Divide, A Christmas Carol, Future Conditional (The Old Vic). Orchestrator, Additional Music and Musical Supervisor: Groundhog Day (The Old Vic/Broadway — winner of two Olivier Awards, including Best New Musical); Orchestrator, Additional Music and Musical Supervisor: Matilda The Musical (RSC/West End/Broadway/International Tour — winner of seven Olivier Awards, including Best New Musical, and four Tony Awards); Musical Supervisor, Arranger and Orchestrator: Ghost The Musical (West End/Broadway and international tour). 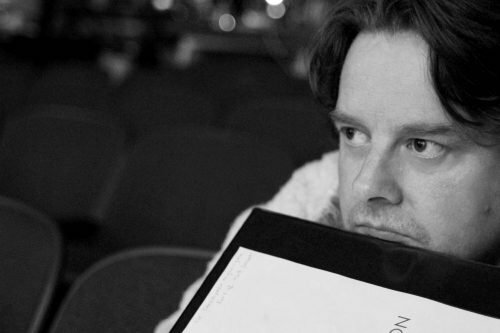 Co-Composer and Orchestrator: The Lord of the Rings. Musical Supervisor and Orchestrator: Bombay Dreams (West End). Arrangements and Musical Director: Closer to Heaven; Musical Director: Whistle Down the Wind, Oliver! (West End); For the RSC he was Musical Director/Keyboards on The Plantagenets, The Tempest, The Comedy Of Errors, A Clockwork Orange, The Plain Dealer, Pericles, Much Ado About Nothing, Henry IV Part I, Singer, Some Americans Abroad, Playing With Trains, ‘Tis Pity She’s A Whore, The Changeling, Romeo & Juliet and Tamburlaine. Film as Composer: Pride. As Conductor/Vocal Coach: Evita. Recordings include: Producer – Groundhog Day, Original Broadway cast album, Producer Matilda The Musicaloriginal London & Broadwaycast album, Associate Producer – Ghost original London cast album, Co-Producer – The Lord of The Ringsoriginal London cast album. An organ scholar at Magdalene College, Cambridge, Christopher was Musical Director of the Cambridge Footlights for three years before graduating and working for the Royal Shakespeare Company.